We’ve said it before and we’ll say it again: Denver is a pretty dry place. While it’s not technically a desert, we get less than twice the amount of rainfall of many deserts. When summer rolls around, we hate to hear about watering restrictions as much as you do. As your local plumbing service experts, we’re more than happy to help as many people as possible conserve water. In the previous blog, we touched on two specific electric appliances that can help you save energy. Simply upgrading your clothes washer and your dishwasher can save you over 15,000 gallons a year (based on using them each once a day). From a single house, that means 15,000 more gallons that remain in our lakes, rivers, and reservoirs. It also means 15,000 fewer gallons that have to treated at the water treatment facility. Oh, and it’s 15,000 extra gallons that you don’t have to pay for! But those aren’t the only ways you can save water. What about the fixtures you use every day that use water? Today we’re talking about how new toilets, shower heads, and faucets can save you big money. We already wrote a great blog about low flow toilets, but it’s always a good idea to remind people of how efficient they are. 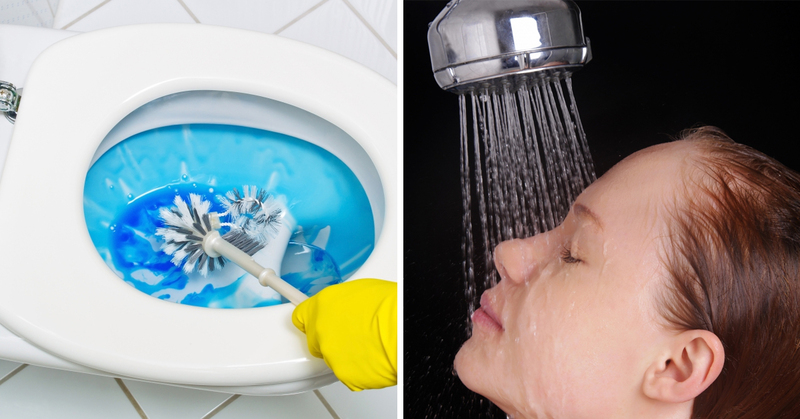 Did you know that many toilets manufactured prior to 1994 used between 3.5 and 5 gallons of water per flush? Today’s models typically use around 1.6 gallons per flush, but that can down to .8 gallons for ultra-high-efficiency models. In fact, you can even get rebates from Denver Water by replacing your old toilets with the most efficient models out there. Another great place to save water (and money) is by replacing old shower heads. While you use toilets intermittently, shower heads are going full-blast the entire time you’re in there. Shower heads that are more than 30 years old might be pumping out more than eight gallons of water per minute! Multiply that by the average 12-minute American shower and you quickly realize how much water you’re wasting with old shower heads. Modern high-efficiency shower heads such as those with the WaterSense label will use only 1.5 to 2 gallons per minute. The great things is that you won’t even notice the difference, because you’ll be getting just as clean. How? New shower heads simply direct and disperse the water more efficiently. This alone could save a family of four over 100,000 gallons a year! While you’ve probably heard about the advances in shower heads and toilets, the sink faucet revolution has been much quieter. While you’ll want to buy a more water-efficient faucet the next time you replace your sink, you can also easily retrofit your current faucet to reduce the amount you use with a faucet aerator. Aerators mix air with the water, causing you to use less while getting everything just as clean. There are different aerators for different faucets, depending on the force of water you need to maintain. Well there you go: three simple ways to save many more thousands of gallons of water per year. If you’d like a local plumber to come in and help you install these, we’d be happy to help. Contact Garvin’s today!